It was only yesterday when I suggested buying books from boot fairs as they can be considerably cheaper than buying in book shops. 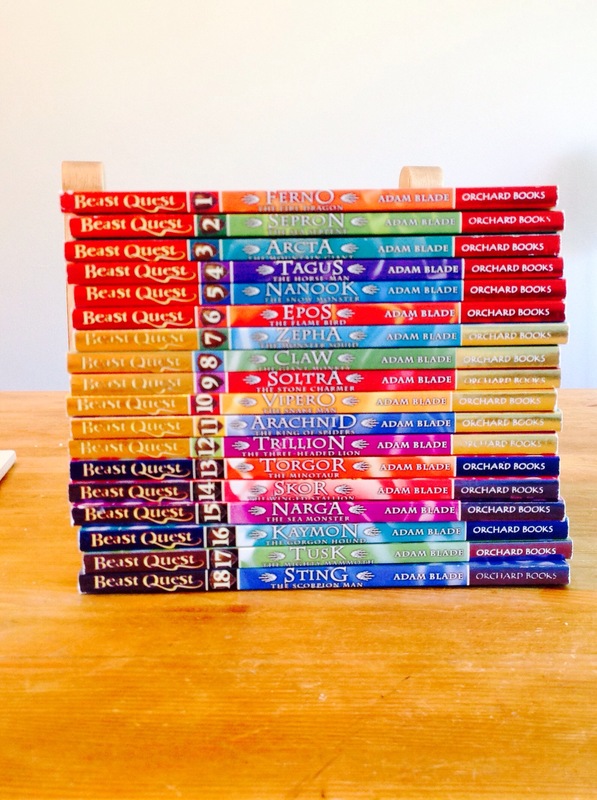 Well, I managed to find a lady who was selling the Beast Quest series and I know that quite a few of the children that I have spoken to say that it is very addictive. She said that her son didn’t really get on with them that well, so only a few out of the 18 had actually been read. Guess how much I managed to get them all for???? £2.50! They are supposed to sell at £4.99 each, so buying them all new from a shop would have cost me £89.82. I have managed to save myself £87.32!!! My list of books to read is now very long… I might just read the first few and put them all on my shelf at school. Previous Post Where to buy books?